Welcome to F3C Japan ! 2013 F3C/F3N Championships Official Site is here. From the front row left Sawamura , Nonogaki, Hashimoto. Back row left, 2009 W/C Hiroki Ito. 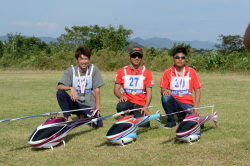 A Japanese Nationals is held on September, 24th through September, 27th, 2009. 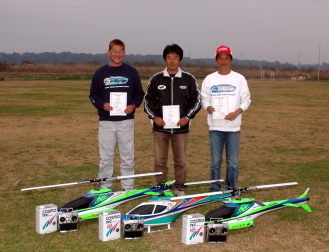 The 2008F3C Japanese Nationals was held on October 2 to October 5. 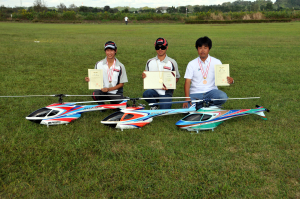 The F3C Japanese Nationals is held October 5 - 8. In order that you may understand new F3C Sporting code more correctly. It is the present latest version. This file is the English-language edition which was created by the Switzerland F3C subcommittee and was edited by Mr. Hagen of a CIAM subcommittee. The upload to this homepage is permitted by the producer. For all F3C pilots, using this file helps to understand a new Sporting code correctly. 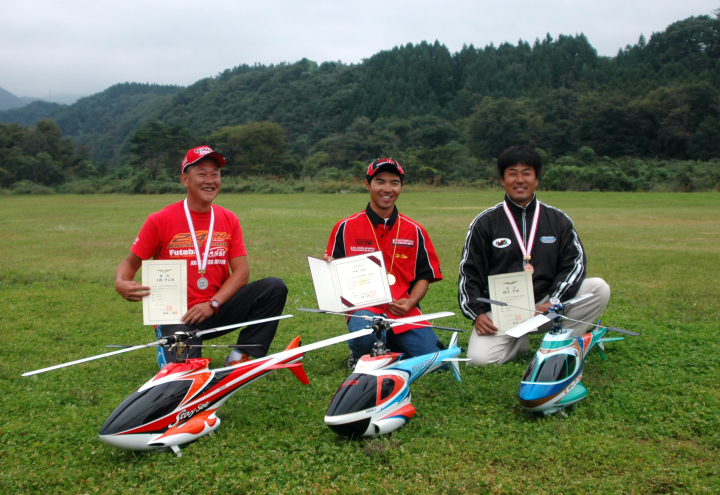 The F3C Japanese Nationals is held October 7 - 10. 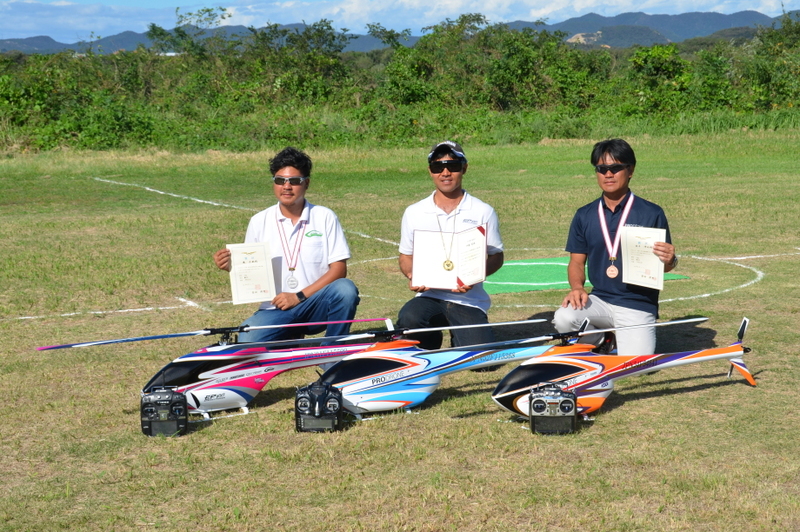 The F3C Japanese Nationals is held September 17 - 20. If you can't see the countdown timer, click the icon and download the latest version of Flash 4 a free plugin for your browser.